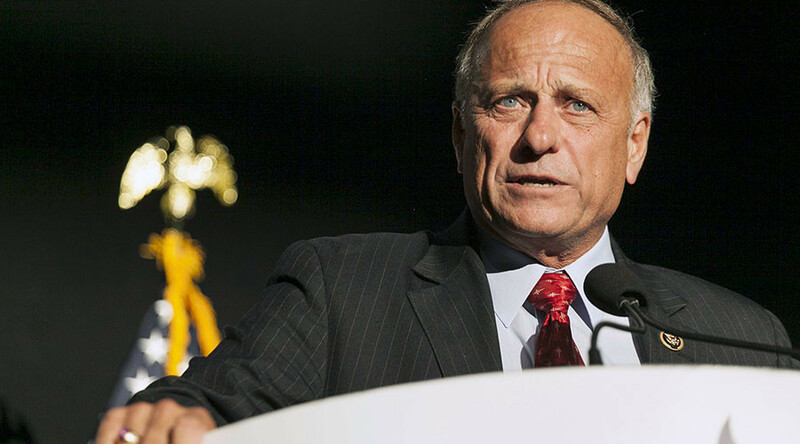 Backlash over a controversial retweet isn’t stopping Republican Congressman Steve King of Iowa from doubling down on his concern over immigrants altering America’s culture. Cuomo asked how King could apply the same kind of thinking to America without sounding like he was advocating a “white cleanse” of the American population. While King said that he would like to see “an America that's so homogenous that we look a lot the same from that perspective,” he also says that American culture is under attack. King said a major part of the problem comes from a high number of abortions, which has caused America to “replace that void” with immigrants. “That's the push to bring in much illegal immigration into America, living in enclaves, refusing to assimilate into the American culture and civilization,” King said. King’s comments caused a frenzy among those on the left and right, many of whom called on him to step down or be replaced. "somebody elses babies" are in US mil uniforms and in harm's way. volunteers to protect America. [C]ulture and demographics are our destiny. We can't restore our civilization with somebody else's babies. King also saw support from David Duke, the former grand wizard of the KKK, who called on his followers to move to King’s district. On Monday, Jeff Kaufmann, the chairman of Iowa's Republican Party, released a statement saying that Duke is not welcome in Iowa. “I do not agree with Congressman King's statement. We are a nation of immigrants, and diversity is the strength of any nation and any community,” Kaufmann said.